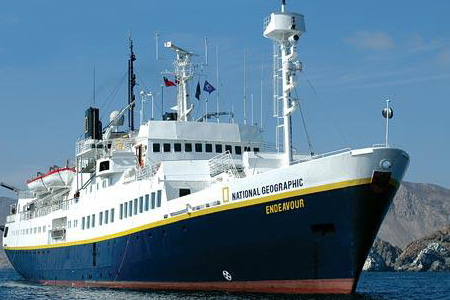 This expedition ship is designed for discovery and active exploration with a flexible activity itinerary to suit all interests and abilities. 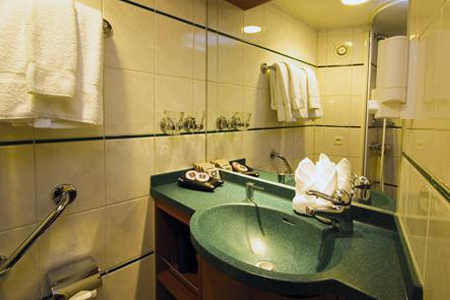 The ship is fully air-conditioned and all the cabins have outward facing views with private facilities. 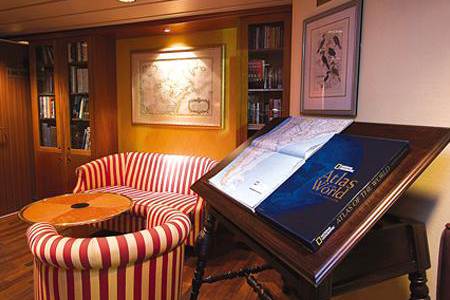 On board there is also a covered deck where guests can relax, a library, and a lounge with a full-service bar and facilities for films, slide shows and presentations. 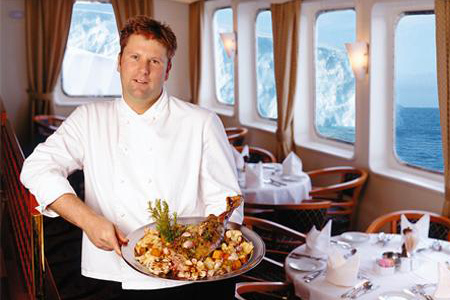 The restaurant offers a selection of international and Ecuadorian cuisine in a relaxed informal atmosphere. • $500 off the cost of the voyage for children under the ages of 18 years-old. ✓ Port charges and service taxes. ⨯ Alcoholic beverage, gratuities, gifts and additional items. ⨯ Discretionary tips to ship's crew. 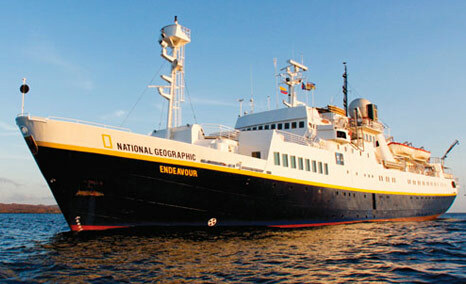 ⨯ We offer diving in the Galapagos. It is operated by a local dive operation and it's an additional charge. Bridge Deck: Fitness center, sauna, spa, doctor, library, sundeck and bridge. 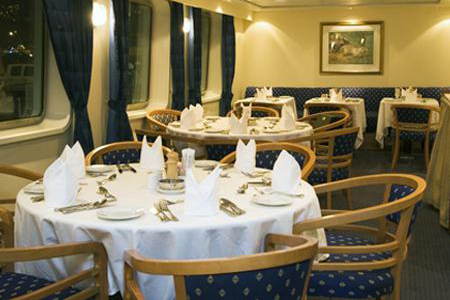 On Board: Ship is fully air-conditioned. Covered deck with chairs and tables; Doctor's Office; Fitness Center; Global Gallery; LEXspa; Library; Lounge with full-service bar and facilities for films, slide shows and presentations; Sauna and small Swimming Pool.